A good majority of the problems experienced in a crawl space can be traced back to water damage or extremely high humidity levels in the crawl space. While you may be tempted to ignore this, you should note that the state of your crawlspace will affect the state of your home. A dirty and damp crawl space will result in structural problems for the home, indoor air quality issues as well as pest infestations. Investing in crawlspace waterproofing is not only good for your crawl space, it’s also good for your health and your home. Your drainage pipes will not be adequate on their own. 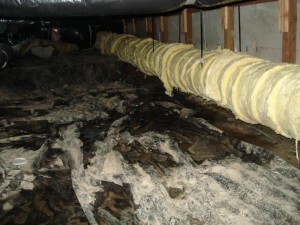 You need to ensure that you’re not only directing water out of the crawl space but that you are removing it completely. This is possible with a sump pump. The pump will remove the water that the drainage pipes collect and expel to a location outside the crawl space. These gaskets are important for vent holes and doors in crawl spaces. They are vital for sealing these spaces and ensuring that the crawl space is completely waterproof despite the presence these openings. These mats are designed to collect and direct water in the crawl space into the drainage pipes. They are often included in crawl spaces with dirt floors. 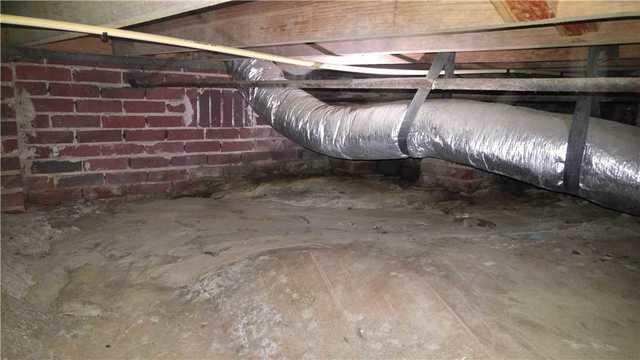 If you want to ensure effective crawlspace waterproofing, you should take the time to find the right contractor. Your contractor ought to be licensed, insured and experienced. This will ensure that they are able to cover different aspects of waterproofing. They will ensure that all the bases are covered. Be sure to compare waterproofing contractors and the systems they propose for the waterproofing of your crawlspace. It pays to do your own research and ensure that the systems suggested are effective for the long term. Search reviews and ensure that the contractor you hire has a good reputation. Take your time to find a waterproofing contractor that will provide you with a comprehensive solution to waterproofing your crawlspace.